We have a choice. We can either accept this ruling, or we can fight. I say we fight. After yesterday's Supreme Court ruling on ObamaCare, the American people have now had foisted upon them the largest expansion of government in the history of the world. As the American taxpayer labors under even more regulation and more taxes, a liberal minority has decided that the American people are not bearing enough of a burden and have given us an even heavier load. Almost from day one in this debate on universal healthcare the American people have been repeatedly lied to by the progressives and radical leftists: about the real number of uninsured, about the cost, about the implementation and about its impact on our economy. Yet we now as a people find ourselves in tough economic times confronting a massive new tax. And we have a choice. We can either accept this ruling, or we can fight. The original tea partiers fought King George’s taxes-by-fiat, refusing to compliantly accept them. They knew that the Crown’s acts were inherently unjust, so they resisted them...and were ultimately forced to take up arms to fight for their rights. We will not fight with guns, but with the most powerful tools we have, our minds, our voices, our votes and our love for this country. Most of the American people know that this healthcare law is wrong. Just last week, more than 60% of the American people said they opposed the individualized healthcare mandate. No one--not even the President and Congress--knows exactly how this law will be executed and paid for let alone the impact it will have on the best health care system in the world. If you care about America and the direction it is taking, you are compelled to do something. Please don't think that someone or something else will fix this problem. There is no calvary riding in to save the day. You are the answer and what you choose to do, or not to do, will impact the direction of this nation. At American Majority, we've been equipping people to fight in real, meaningful ways in the public arena to bring about the right policies that will make America even more free and prosperous. Some have even described our trainings as equipping the grassroots in the art of political war. So will you fight as a future leader committed to a liberty-minded, limited government? Will you fight online, leveraging the power of the internet to show you care? Will you fight block by block to make people understand the dangers of government having this much power? You will – because an elected despotism and a leftist agenda are out of touch with our families, our businesses and our future. Contact us today to set up a training in your community by clicking HERE and let’s win the battle for America together. Check out this preview of American Majority’s new manual for candidates and campaign managers. 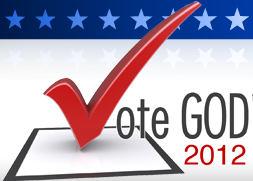 Please be sure to check out the rest of our resources for candidates and campaigns, including the essential vote goal worksheet. We hold Candidate Trainings across the country, so check back for one near you, or submit a request. Tuesday night, Jim Bridenstine, an American Majority trainee twice over, defeated five-term incumbent Congressman John Sullivan in Oklahoma’s District 1 primary by a whopping 8 percentage points, after being outspent four-to-one. Jerry James, president of Marietta-based Artex Oil Company, spoke with Media Trackers about Governor Kasich’s proposal to increase severance taxes and use the new revenue for an income tax rebate. While it may go without saying that James opposes higher taxes on oil and gas drilling, the perspective of Ohio employers should not be discounted simply because they have a financial interest at stake.